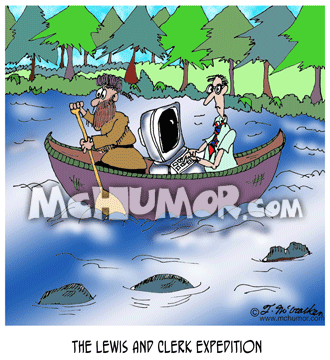 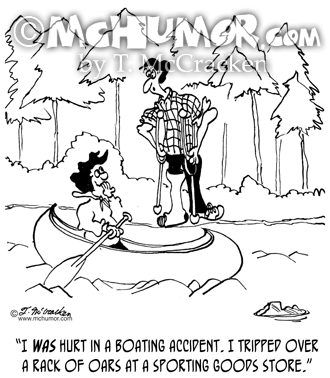 Canoe Cartoon 8731: "A Different Way To Portage A Canoe." 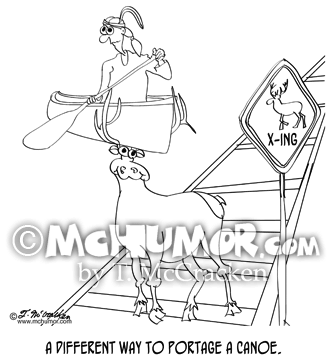 An elk carries a Native American in a canoe across a pedestrian crosswalk. 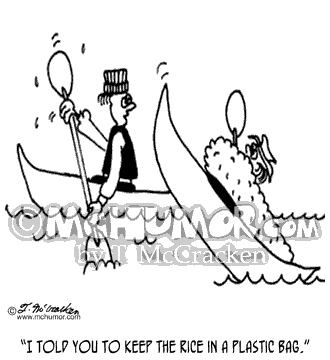 Canoe Cartoon 3476: Someone saying to another as their canoe is overflowing rice, "I told you to keep the rice in a plastic bag." 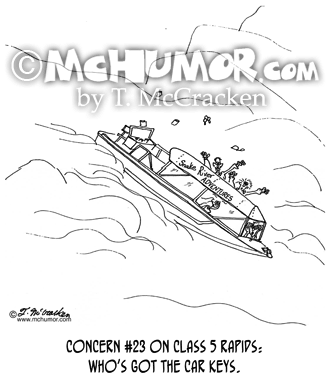 Boating Cartoon 7074: “Concern #23 on Class 5 rapids: who’s got the car keys.” Everything is flying out of the boat.